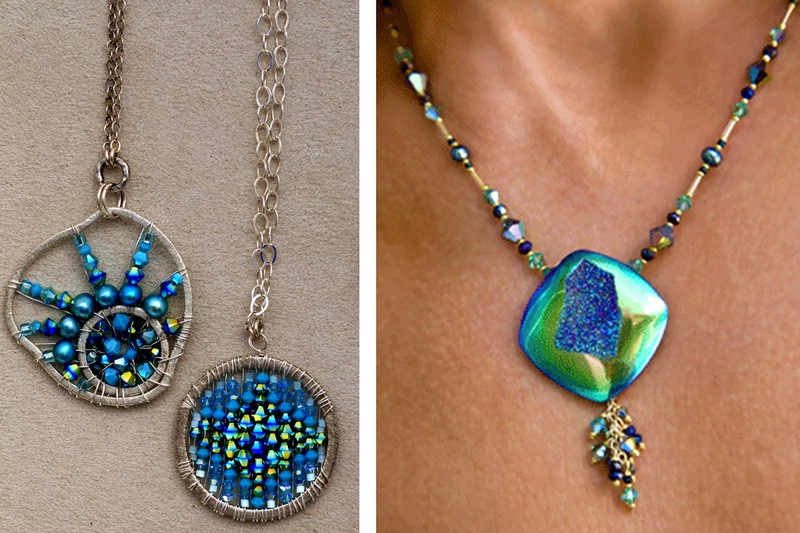 Crave-Worthy Glass & Crystal Beads. Hand Cut, Hand Painted & Hand Strung. Modern Accessories Made with Age Old Artisan Sparkle, Sophistication & Flair. While it’s easy to make a pretty necklace or bracelet, it takes creativity and care to fashion jewelry with as much significance as beauty and sparkle. 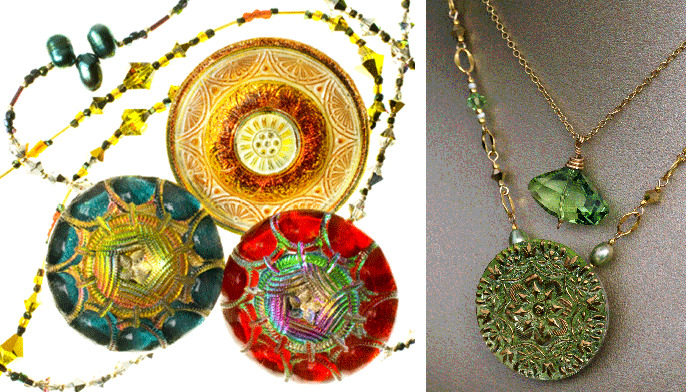 Something truly unique about Austin artist Cynthia Bloom is her dedication to using one-of-a-kind materials from a “forgotten artisan era,” as she puts it. She finds her inspiration across the ocean and across the decades. Her necklaces, bracelets and earrings feature glass and crystal beads from Eastern European countries where ancient customs are still practiced. You may recognize a name like Swarovski when it comes to crystal, but I bet you didn’t know that Czechoslovakia is home to some of the most original hand crafted glass! Her secret, and a skill that can’t be taught, is the art of pairing complementary hues and just the right degree of sparkle. 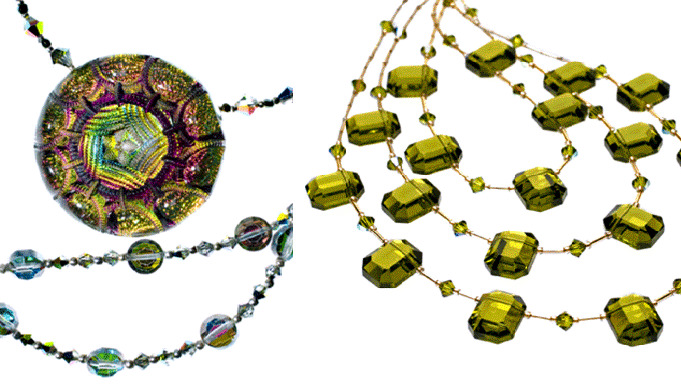 By combining a range of these almost magical beads, Cynthia creates masterpieces that quickly catch your eye with their colorful vibrancy and shine. There is so much personality in each accessory. Choose a necklace or bracelet that speaks to you, and you can be confident you are wearing a statement piece that has antique artisanship preserved with modern flair.